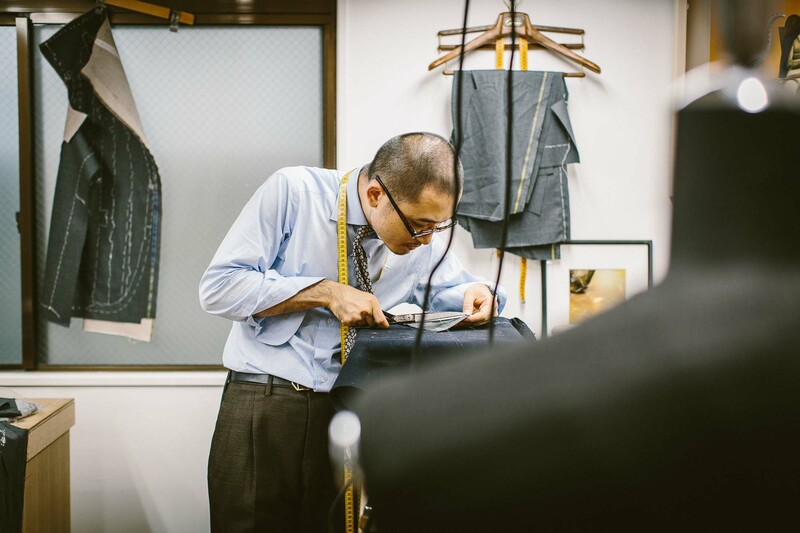 Of all the tailors we visited in Japan last year, Ciccio was the one I was excited about seeing. 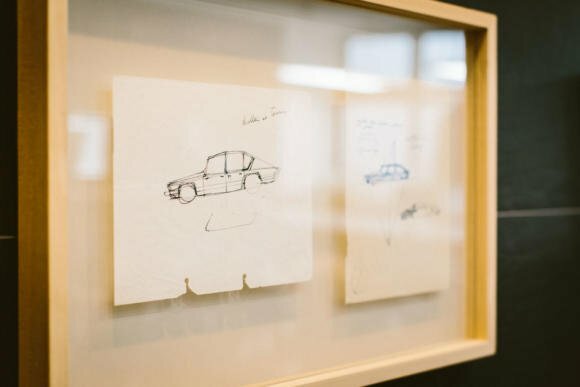 I'd seen and tried on examples of his work on friends, and more importantly heard good things about his attitude to style and working with customers. We met him at his new atelier - a large space down a semi-residential street, with lots of light streaming in at the windows. The kind of building you'd expect at tailor to pick if they had the choice. 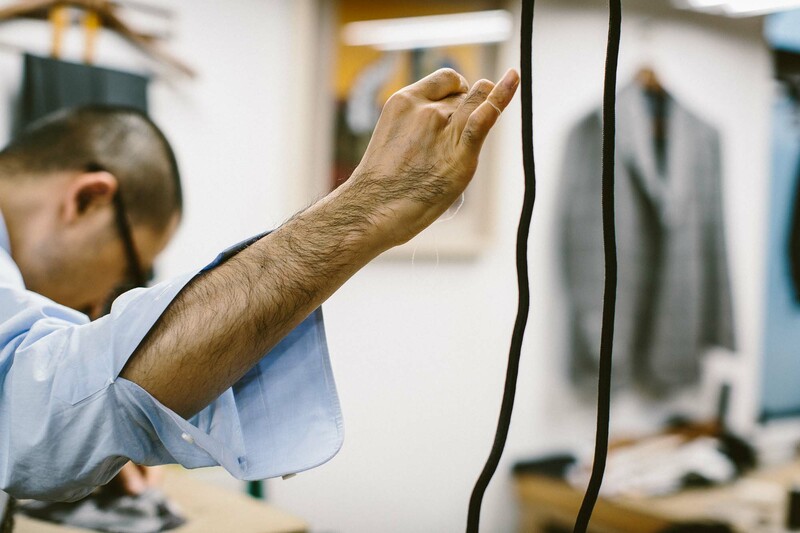 Ciccio - Noriyuki Ueki - has become the best known of a new wave of Japanese tailors that have gone to Italy in the past 20 years, trained, and come back. Like many of them, his style is soft, Neapolitan, but with a Japanese focus on details and execution. "It's always the small things that get me excited," he told me. "Like the smooth run of a jacket's shoulder up into the neck. 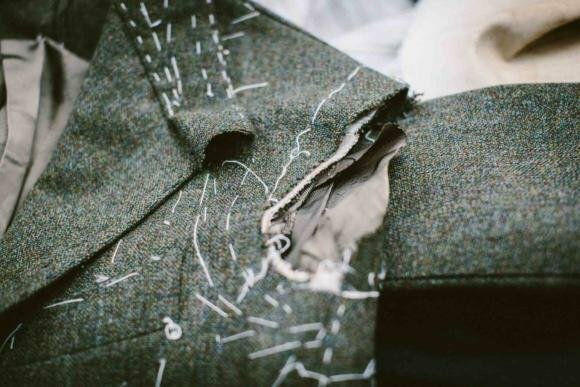 "It's not hard to get the basic things right - the size of a lapel, the run down through the waist - but these little points are what set apart good tailoring for me." Ueki started his career at Japanese ready-to-wear suit factory Ring Jacket, as did many of his peers in this new generation. He joined in 2000 and was there for 5 years, before travelling to Naples to look for an apprenticeship. 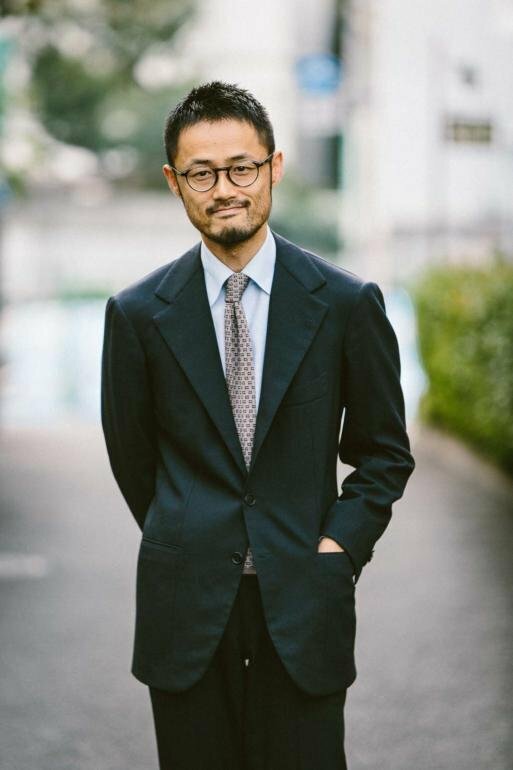 "I wanted to go to Naples because I was impressed by the softness of the tailoring I had seen come back to Japan," he says. "And I knew that Ono-san (Sartoria Anglofilo) had gone." Like most other Japanese, he knew little about Naples, but turned up and hoped for the best. Ueki ended up at Sartoria Dalcuore, where he worked for 18 months, and then moved to Sartoria Pascariello, where he stayed for another two years. He gained the nickname 'Ciccio' while in Italy. 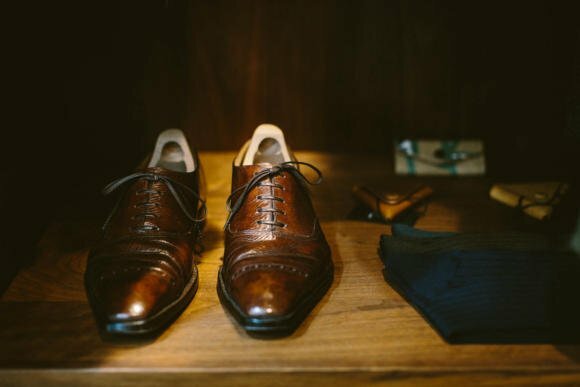 A shortening of the name 'Francesco', it had been the name of several respected tailors in the past, and was given to him partly as a recognition of the quality of his work. 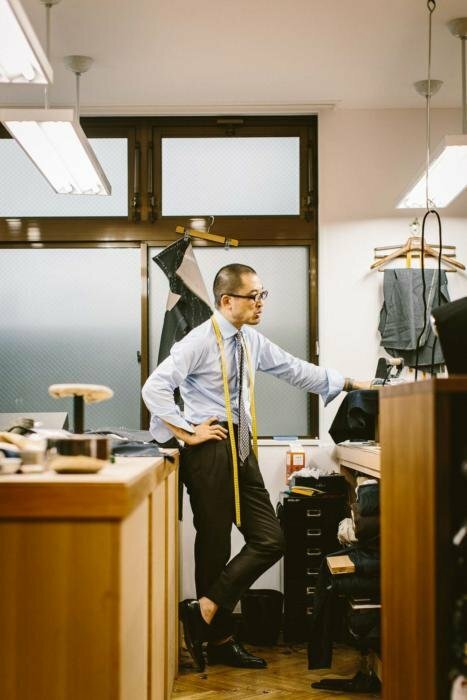 When Ueki returned to Japan, he was the in-house tailor for Japanese brand Tie Your Tie for a long time, renting a space upstairs from the shop. But after seven years, he felt he had enough business to set out on his own. He found this workshop in May 2015, and now occupies it with four other cutters and coatmakers. "Business has been good, steady," he says - with the first suggestion of a smile on a face that is otherwise still, and attentive. "We make 9 or 10 suits a month, and there has been some nice press." Ueki now travels in Asia, to Seoul and to The Armoury in Hong Kong, as well as elsewhere in Japan. He makes a lot of sports jackets - something that is obvious from the rack of fittings waiting along one side of the shop. "That seems to have happened recently," he says. "We had some lovely Kiton jacketings that we were offering for a while, but also jackets are just more suited to modern men at work - even in formal Japan." It's also fair to say that Ciccio attracts a young clientele, often guys that are clued up both on the nature of bespoke and the traditions of Naples. "I have to say, I am optimistic about the bespoke trade in Japan. I'm 38, and there are a lot of tailors my age who are pushing the industry forward," he says. "The only issue is that there is a big gap between us and the previous generation, who are all in their seventies." 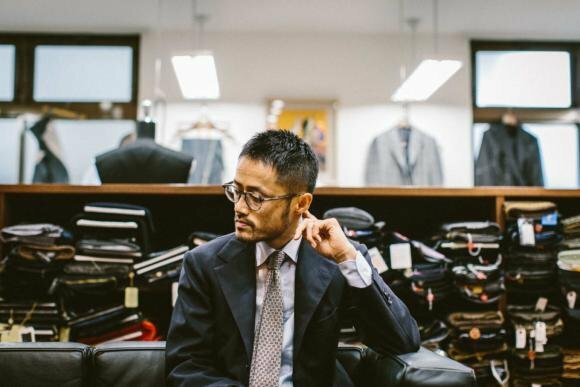 Interestingly, Japan was about 10 years ahead of Europe in its tailoring revival: the young tailors coming through on Savile Row are largely younger than Ueki, and old guard often in their sixties. "Japan also had an issue with men retiring early - at 60 - and then not needing suits anymore," adds Ueki. 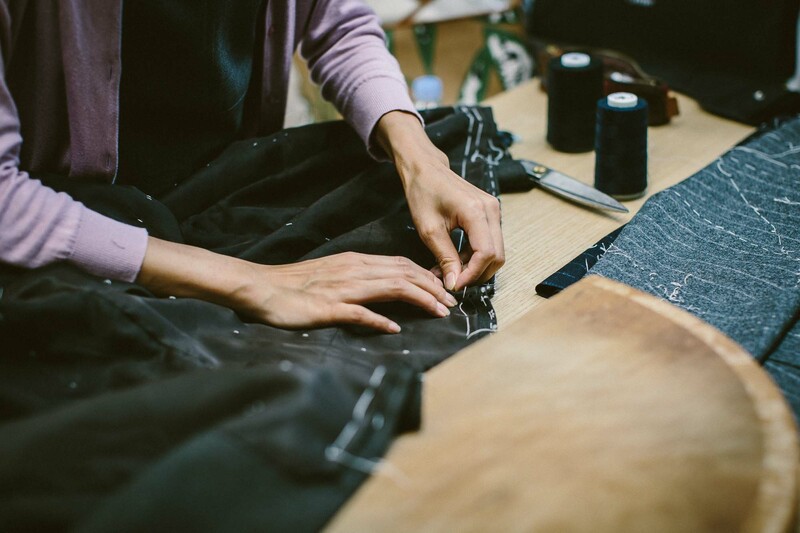 "That led to a lot of old tailors losing their clients." Although Ueki doesn't want the Ciccio name to live on after him, he is concerned with providing a strong foundation for tailoring in Japan. 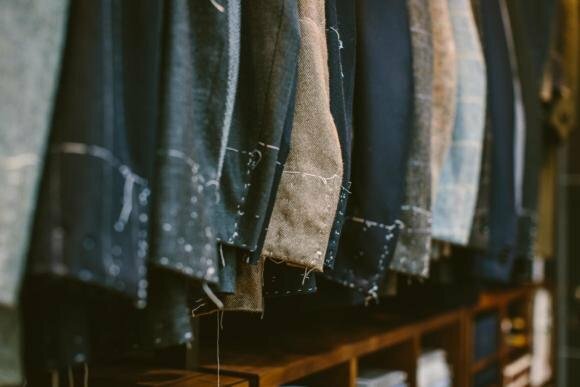 "I'm trying to train young people where I can, but because there are so few tailors who are 40-60 years old, there aren't many that are enough to take on a large staff," he says. "The biggest difficulty is paying apprentices a decent wage when you're still small." Sartoria Ciccio charges 580,000 yen as a starting price for a suit, and there isn't a long waiting list. First fittings take place 2-3 months after the order, with a second fitting around a month later. Ciccio works with shoemaker Hidetaka Fukaya (known as Il Micio), a Japanese artisan living in Florence. 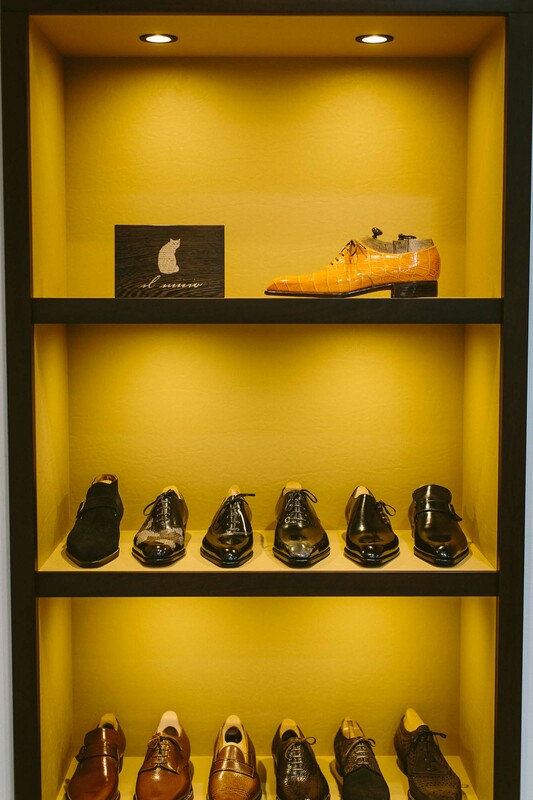 His shoes are on display in the sartoria - shown below. 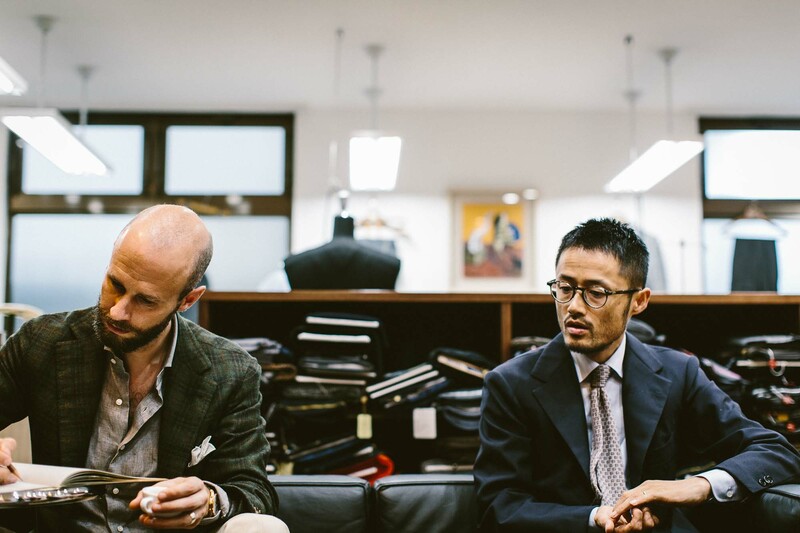 You can follow the discussion on Sartoria Ciccio: Noriyuki Ueki, bespoke tailor, Japan by entering your email address in the box below. You will then receive an email every time a new comment is added. These will also contain a link to a page where you can stop the alerts, and remove all of your related data from the site. You get paid to write this? No, there is no payment. It is a stated policy of Permanent Style that no one can ever pay for coverage on the site. These days, it rather sets us apart. ¥580,000 For Neapolitan style (much simpler to run) is absurd!! I disagree, Sam. First because I’ve paid that for Neapolitan suits and jackets and it was worth every penny, and second because Ciccio puts a lot more work into his Neapolitan-style garments than the Italians, so there is very little argument there. I like his cut. Out of curiosity, in which areas does he put more work in than Neapolitan tailors? Most hand-sewing – padding the chest, felling the seams, sewing the buttonholes etc. More work, more carefully done. Thanks for the reply. Would you consider including a video or written q&a-style interview as part of these profiles? I’ve seen a couple of group discussions between tailors that you’ve hosted, which were awesome. 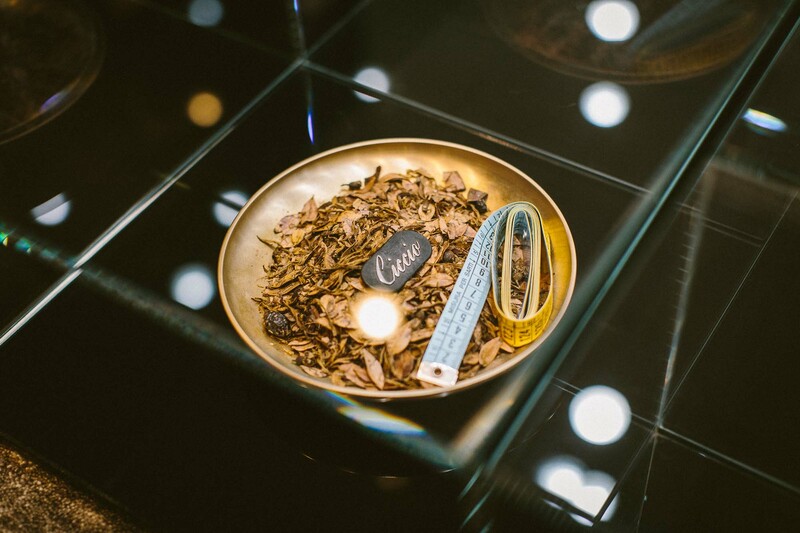 Good to see an exploration of the wider international bespoke scene. Another for consideration is Batak.jp. I got several jackets and suits from Ueki san and I love his work so much, All are well made and perfectly fit. he works so precisely ,consistent and with good style. VBC has its own RTW line now. Heard about it? I’m curious to know about the fit and quality. Ha! Well, in this case, it was Jamie Ferguson and myself, plus translation from Masaichi Hasegawa. So there were a few of us! This is a very sad development II noticed even here in Europe. Suits are considered work uniform. Lounge suits are now called business suits. Even in Germany where they were called “Straßenanzug” before. I really like the style, especially the width, height of the notch and overall shape of the lapel – it looks almost concave. It looks a bit like what I have seen from Liverano. One aspect that is less appealing, personally, is the seam that runs all the way down the front of the jacket from the breast pocket, past the side pocket. Is that present on all Neapolitan-style tailoring? Or are there some makers that will stop the seam at the pocket (or omit that seam entirely)? Yes, some omit the front dart. Any comment on the general quality of the cloth these Japanese tailors use? 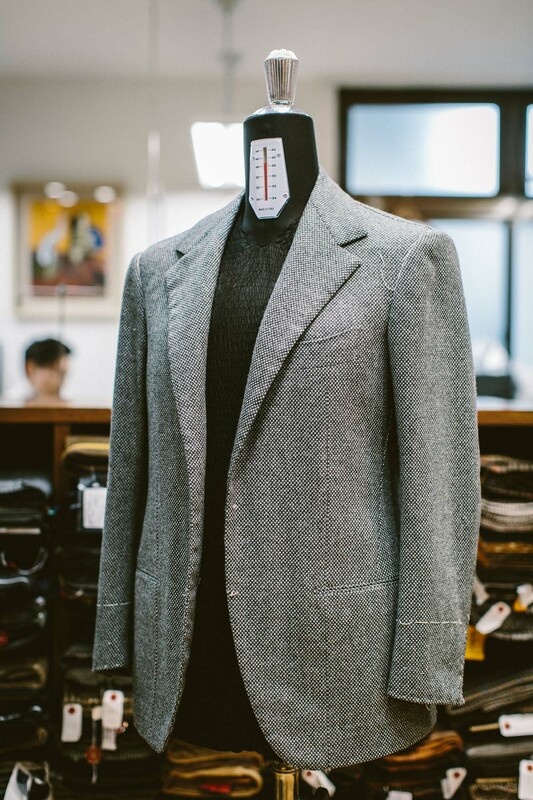 I live in Tokyo and am tempted but read somewhere that though the craftsmanship was very good, cloth quality was inferior to Europe. I have no idea if this is true or not. I imagine that at this price, they use the very best fabrics. What do they use? I’m traveling to Tokyo next week, would you happen to have his contact details? Email? address? Hi Simon, is it possible to do a follow up on the cloth series regarding canvas and hair cloth? 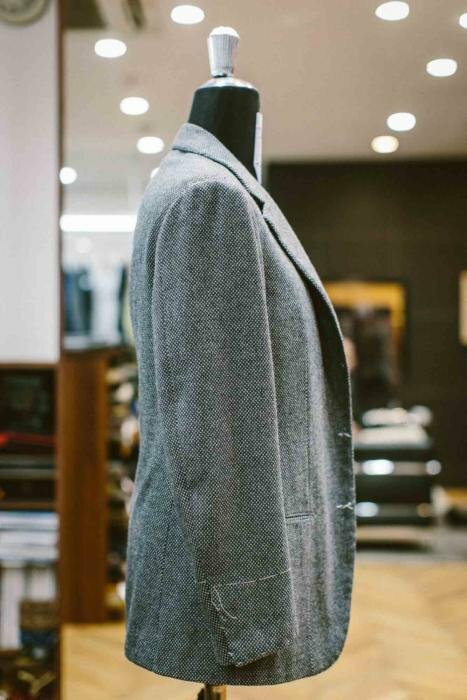 Mainly differentiating the types of canvas construction of structured jackets and soft tailoring? Thanks in advance! It’s not really something I’d put in that project, and it would be a bit technical, but I’ll have a think about that. Thanks for this. I just came back from Tokyo and commissioned a suit from Ueki san. Wouldn’t have known about him if not for you. On another note, what would you consider essential dress shits when building a wardrobe? Nice to hear, thanks Noey. I am very enjoyed for this site. It’s very informative topic. I think it may be assist all of you. Thanks a lot for this beauty Enjoying article with me. I am appreciating it very much!